I absolutely love this pink paper airplane, and the minute I saw it, I knew I needed to use it for printable Valentine’s Day cards! Whether you’re writing a note to a friend, child or the love of your life, these bifold cards are the perfect way to tell them how you feel. 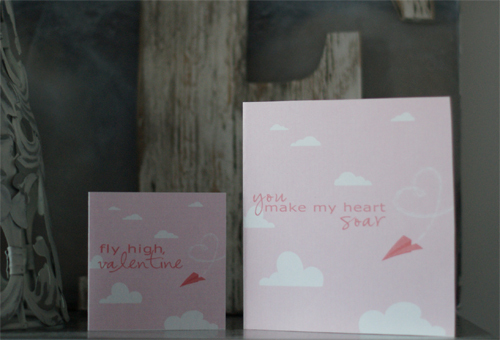 Click here to download or print your “Flying High” Valentines.